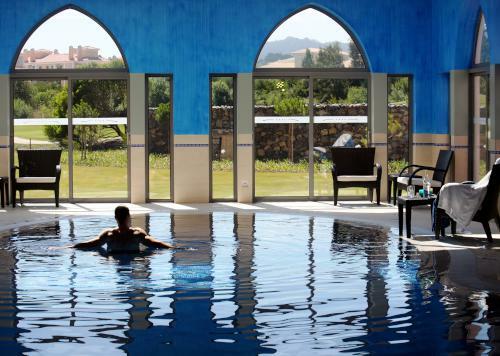 The popular Pestana hotel group continues to please its discerning international audience with its flagship Hotel Pestana Sintra Golf Resort & Spa, located on the peripheries of the romantic town of Sintra in west central Portugal. 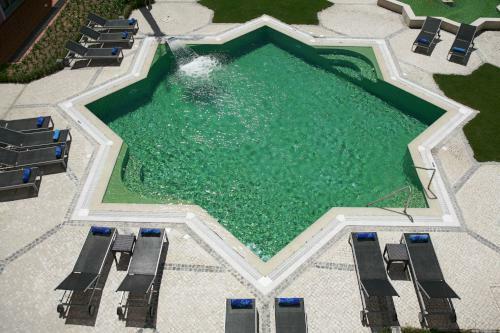 This modern four-star residence leaves guests wanting for nothing, with high quality accommodation, a range of facilities, on-site golf course and some of the most eye-catching scenery in Portugal right on the doorstep. 47 standard rooms, 34 superior rooms and 56 suites in traditional and mezzanine styles make up the accommodation offering at this delightful Sintra hotel. As you would expect from a hotel of this type, all rooms come complete with internet access, central heating and air conditioning, in-room safe, external direct line telephone, LCD TV with cable channels, hair dryer, well-stocked mini bar, kitchenette, en-suite bathroom, furnished balcony and separate dressing area, ensuring every comfort to help guests to relax and enjoy their stay. 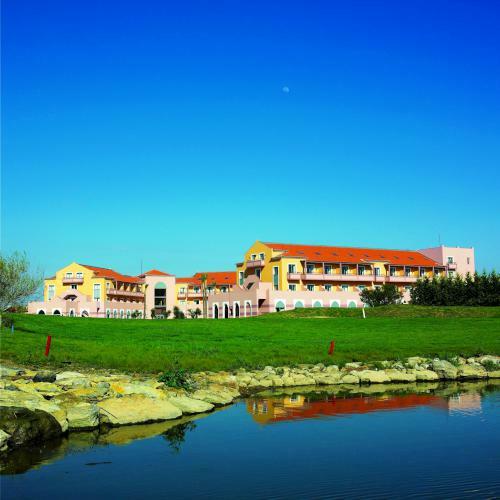 The Hotel Pestana Sintra Golf Resort & Spa is of course highly popular among golf lovers from all over Portugal and beyond thanks to its on-site golf clinic and proximity to some of the best courses in the country. 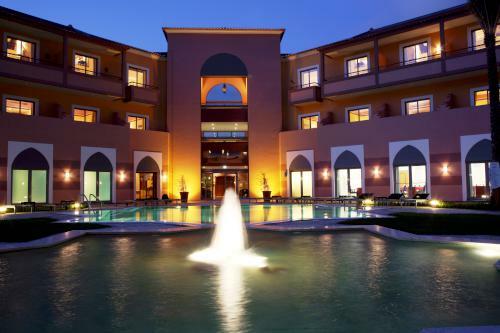 Non-golfers will enjoy the wide variety of sporting and recreational facilities, such as relaxing over a spa treatment or simply whiling away the time in the sauna, Jacuzzi or Turkish bath. The outdoor pool complex is a popular place to spend a day on a sunbed in the Portuguese summer sun or for the more active, the tennis academy, football field and well-equipped gym are firm favourites. 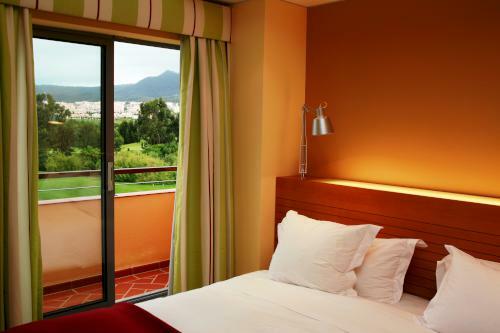 The Hotel Pestana Sintra Golf Resort & Spa is a popular choice for business guests with its meeting and conference rooms, high-speed internet access and audio-visual equipment. 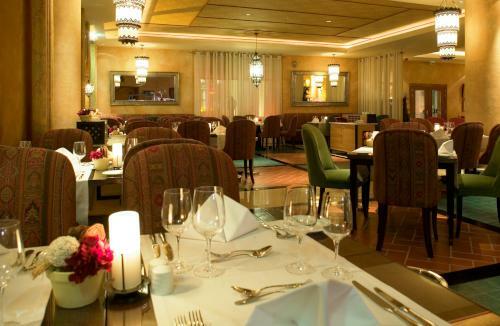 The Mourisco Restaurant is the hotel’s flagship restaurant, serving some of Portugal’s favourite dishes complete with a touch of international flair, while the pool bar is open daily until midnight for guests to enjoy a drink or a light bite in the sunshine. 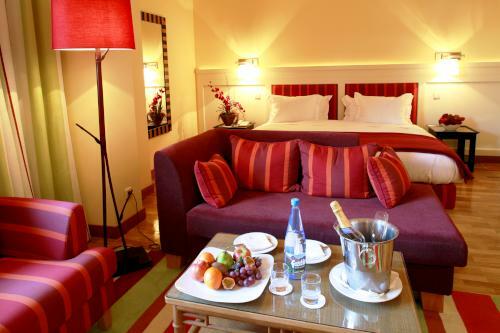 Room service is also available for guests to enjoy from the comfort of their own rooms. 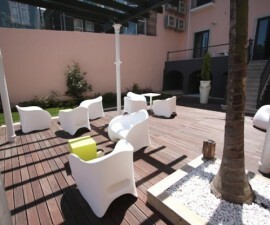 At just five kilometres from the romantic town of Sintra and within easy reach of the cosmopolitan Estoril coast and Lisbon international airport, the Hotel Pestana Sintra Golf Resort & Spa is a popular choice for guests in search of comfortable, high-quality accommodation in beautiful surroundings.